The media coverage of sensational officer-involved shootings over the past 18 months should not be seen as part of a pattern of police activity. The only common factor in any OIS is that an officer perceives imminent, mortal danger for him or herself or for someone else. And it always starts with a suspect who resists during the contact with the police. In this post (for the LAPPL’s previous post on this topic, CLICK HERE), we will look at two movements in society we believe are greatly increasing the pressure on police officers as we work to ensure the safety of the community. We are also addressing, again, the use of Hayes v. County of San Diego by the Police Commission. We simply cannot let this stand, and the City and public must understand why. Changes in society have dramatically increased police encounters with combative individuals. Homeless and mentally ill individuals on our streets rather than at facilities that can help them. It is well-documented that support for the mentally ill in our society has declined. Many disturbed individuals now reside on the streets contributing to the significant homeless population in Los Angeles. While the Los Angeles City government and LAPD recognize this problem and are working to address it, the solutions are expensive and therefore minimally available. In the entire city, there is only one system-wide Mental Assessment Response Team. Police officers make every effort to diffuse volatile situations and use non-lethal force, but when resistance occurs officers have been charged with a duty to protect the public and themselves. Whether the person posing the threat is mentally ill or not cannot be taken into account when the threat is immediate and lethal. Very simply stated, if someone grabs an officer’s gun, regardless of mental capacity, force must be used to halt the imminent and lethal threat. Fewer consequences for belligerent behavior. Los Angeles is experiencing rising crime rates for the first time in a decade. The mayor, the Police Chief, and certainly the officers of the LAPD, believe that at least a portion of the increase in crime can be traced to laws and policies designed to lower crowding in our prisons and jails. Proposition 47 was promoted as a way to keep non-violent offenders out of jail, lower prison populations and give these offenders an opportunity to mend their ways. Likewise, an earlier statute, AB109, was designed to move non-violent criminals to county jails where—due to overcrowding—they are often released to a parole system that lacks resources to monitor them. But the “non-violent” designation is a technicality, based on the most recent conviction, even if that person may have previously committed violent crimes. This entire exercise, however well-meaning, is a nightmare for police officers who must now deal with an influx of criminals that are back on the streets. The lack of penalties for their actions makes them bolder and less concerned about the consequences of their behavior toward authority and society. A police officer’s actions prior to perceiving imminent danger should have no bearing on a decision to use force. Police officers have the right to return home safely every night. Based on the standard set by a U.S. Supreme Court decision, “The reasonableness of a particular use of force must be judged from the perspective of a reasonable officer on the scene, rather than with the 20/20 vision of hindsight.” This has been the established standard for over 25 years and comes from the highest court in the land. The new standard recently applied by the Police Commission to rule one officer’s shooting in the Ezell Ford case “out of policy” seeks to take into account the officer’s actions prior to the struggle in which Ford attempted to take the officer’s gun. According to this new standard, if the officer’s tactics prior to the stop were deficient, the officer must forfeit his life or the use of force will be out of policy. The threat of being killed with his own weapon was irrelevant in their decision. This new standard grows out of a California Supreme Court case involving lawsuits about negligent behavior that seeks to determine tort liability, not constitutional principles. This new standard defies logic, runs counter to established policy, puts officers in danger, and should be removed. 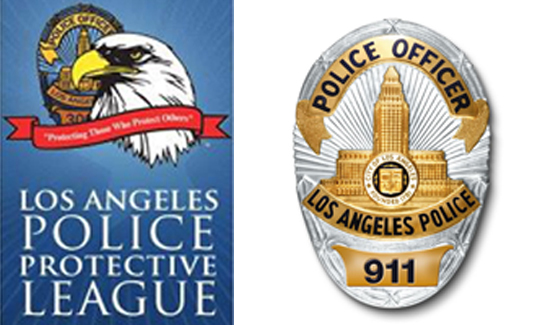 About the LAPPL: Formed in 1923, the Los Angeles Police Protective League (LAPPL) represents the more than 9,900 dedicated and professional sworn members of the Los Angeles Police Department. The LAPPL serves to advance the interests of LAPD officers through legislative and legal advocacy, political action, and education. The LAPPL can be found on the Web at www.LAPD.com.